This will work for you - use double-sided tape to attach to OTA or drill a couple of small holes for screws. You can also find this type of red dot finder on Amazon. 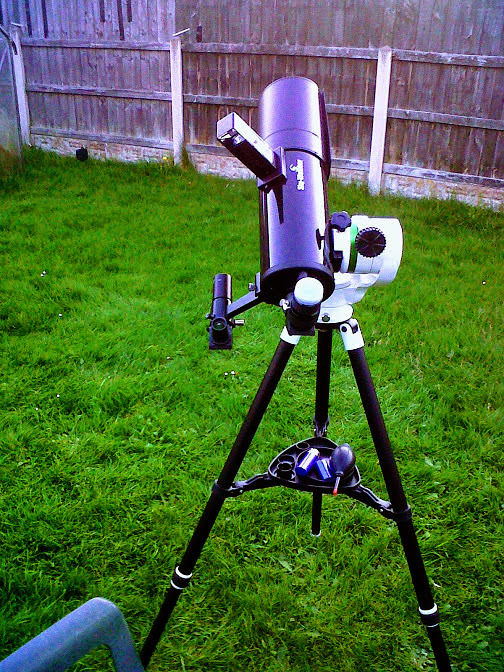 Is it really better than Celestron Star Pointer? No, the one on the Astromaster is really bad (REALLY BAD). The one he provided a link to is actually pretty good. 12richardk and Gabby76 like this. And is it possible to mount it to the AstroMaster? Yes, either by drilling a couple of holes in your tube for the attachment screws or with dual sided sticky tape. Personally, I would go with the dual sided sticky tape, it's easier to do and holds well. Help Finderscope for Celestron AstroMaster 76EQ?